It was a night of debuts, but also a night of returns. Both Jeff Hardy and Samoa Joe made their returns on Raw after being gone several months due to injuries. 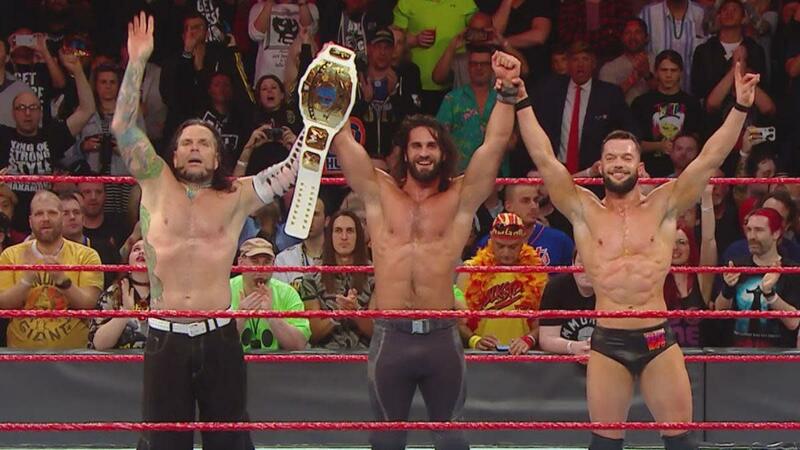 Jeff Hardy was the first to make his return, joining forces with Finn Balor and Seth Rollins in a winning effort, defeating The Miz and The Miztourage in Raw’s main event. He had been sidelined since last September with a shoulder injury. It seems he will be a singles star going forward as Matt Hardy is currently teaming with Bray Wyatt, who also made his return this weekend. Samoa Joe also made his return later in the night, coming out during a Roman Reigns promo. After Reigns cut a promo insinuating there was some sort of conspiracy going on between management and him, Joe returned and challenged him to a match at Backlash. He returned after suffering a ruptured plantar, a foot injury, back in January of this year.